The shepherds were the first to have been invited to visit the manger where the Baby – our Saviour was cradled. They were among the first to give their testimony to this infinite act of love which God demonstrated with this birth. God who introduced his son not in the comfort of a palace but the poorest among the poor in a cave outside the town of David, Bethlehem. In those times the shepherds were ‘the marginalized’ of society. They were not even considered. Like the young David, the shepherd of Bethlehem who had not been considered among his brothers when the Prophet Samuel visited his father Gesse to look for and find the one who was to lead the people. These were completely different from the shepherd of the universe, Caesar Augustus, and his representative in the region, Quirinius. According to evangelical logic as it has always been from the beginning, God’s will was that the first would become last and the last would rise to be the first. Scorned by the rest of society, they were assimilated with the animals with whom they lived; they had no legal identity and could not even testify in court. 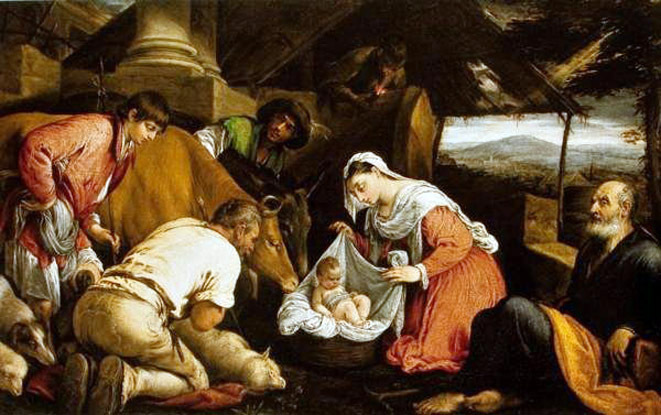 They were the first to adore the Baby – the Saviour. The shepherds recounted what had been recounted by the angels and therefore became the messengers of the Good tidings, of the gospel. The people who were at the bottom scale of society became the first apostles of the Saviour!